Cape Town - Northampton Saints have announced the signing of South African international flanker Heinrich Brussow into the club’s squad. The 31-year-old burst into international rugby consciousness during the 2009 British and Irish Lions’ tour to South Africa, when his combination of aggression and tenacity - especially at the breakdown - caught the eye of supporters and commentators alike. Capped 23 times by the Springboks, Brussow has also amassed considerable amounts of experience in Super Rugby playing for the Bloemfontein-based Cheetahs and is regarded as one of the finest exponents of openside flanker play in the world game. 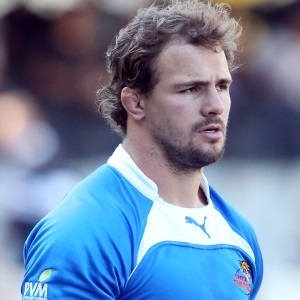 Between 2013 and 2015 Brussow played jointly for the Cheetahs and Japanese club Docomo Red Hurricanes. However, after two years of sole commitment to the Hurricanes he says that he is eager for a new challenge in the Premiership. “After five seasons in Japan, my wife and I feel it is time for a new challenge,” he said. “I feel humbled to be afforded the opportunity to join a club with such a rich history and traditions. “Franklin’s Gardens is one of those special places you hear some of the best players in the world talk about and the thought of representing a team like Northampton Saints is something that excites me immensely. “I am looking forward to learning from new coaches, team mates and getting know and experience everything Northampton has to offer. The reputation of the Saints as a team speaks for itself and I want to play my best possible rugby and hopefully contribute to winning a few trophies. Director of rugby Jim Mallinder says that Brussow will be a strong addition to the Saints’ squad going into the second half of the season. “Heinrich has shown his class year in, year out, and we’re delighted that he has decided to join us,” he said. “He has plenty of experience and our younger players will learn a lot from him, especially from his play at the breakdown. “After the sudden departure of Louis Picamoles we have been looking for the right player to add to our squad, both in terms of quality, experience and character, and we believe that Heinrich is the right person to bring to Franklin’s Gardens. Brussow will arrive at Franklin’s Gardens in January 2018 once his current playing commitments in Japan have been completed.